ABORYM have managed the impossible: with “Psychogrotesque” the unholy wedding of Black Metal and Industrial finally makes perfect sense. 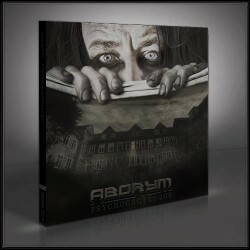 The conceptual and musical depth on their fifth album goes even beyond the already highly acclaimed predecessor “Generator” (2006), which quickly became an underground bestseller. 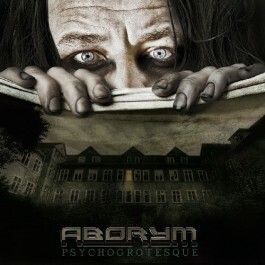 As on ABORYM’s former releases, several special guests contribute on “Psychogrotesque” like Pete Vegem from BLOOD TSUNAMI, EPHEL DUATH mastermind Davide Tiso and a spectacular collaboration with legendary CRISIS frontwoman Karyn Crisis.